I just signed up today but to answer your question, Yes, I've got one. planing on any mods yourself ? what colour scheme you get ? What are boots? Sorry I don't speak English (smile). Oh wow.. you worked quickly. Sorry about your tyre though... that's painful. Could it not just be plugged? or is that not safe? I'm looking to do very similar. Need a new exhaust, I want to De-Cat as well so need that link pipe, still exploring options. Akra is a bit pricey, I'd rather a smallish one but not found one I like yet... would love a TaylorMade under belly one, but I don't think they exist in these parts of town. If you have any recommendations, I'd love to hear it. Tail tidy, deffo, its a must. small license plate, also a must - what size did you get? louder horn is a very good idea! I've got a blue and white one... I'm trying to load a picture but the picture hosting website is down now... there's a pic in the newbie section though, as it worked earlier on today. I think that's it for now, but I know all about the mod bug addiction... Hopefully i can resist and actually pay some bills first. lol. is the 7x5 the smallest legal one we can get?? 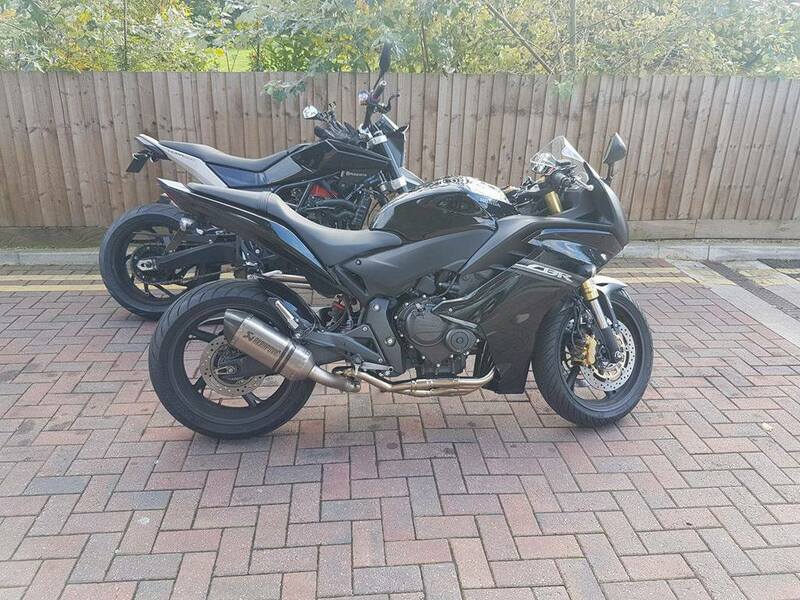 looking for a belly pan to cover the pipes,£200 though is expensive.here's mine and the lads nuda 900 in the background.